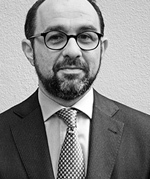 Lorenzo Schiano di Pepe, EULoS coordinator, has recently joined the PIL (Public International Law) Advisory Group under the direction of Pierre-Emmanuel Dupont. Among the areas of action of the Advisory Group are law of the sea, international investment law and international environmental law. Additional information about the PIL Advisory Group and its activities can be found on its official website at http://piladvisorygroup.org/.